Armed Forces Day is celebrated in Greece on November 21. This day coincides with another religious feast of a great importance in Greece, the Entry of the Most Holy Theotokos into the Temple. The feast is known for the Western Christians as the Presentation of the Blessed Virgin Mary. 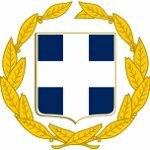 The Hellenic Armed Forces consist of the Hellenic National Defense General staff, the Hellenic Navy, the Hellenic Army and the Hellenic Air Force. They all serve to protect unity and peace of Greece. The Armed Forces of Greece currently follow the universal compulsory conscription. All men above the age of 19 must serve for 9 months. Women may also serve in the Greek military, but they can't be conscripted. Greece is one of the members of NATO, that is why the Hellenic Armed Forces have participated in a number of peacekeeping operations. Greek Armed Forces also contributes in safeguarding and promoting peace and stability in the European Union. Celebration of Armed Forces Day begins with raising the Hellenic flag on the Holy Rock of the Acropolis. It's followed by a doxology in the Church of Saint Dionysius the Areopagite. Soldiers and officials lay wreathes at the Tomb of the Unknown Soldier. In the evening the Hellenic flag is lowered.